have the new ‘Ironheart’, Riri, and Victor Von Doom of all people assuming the role of Iron Man. Ulysses, the Inhuman precog the series is about, sees a vision where New Jersey is a wasteland and only Old Man Logan is there. Logan, though, blames Stark for the mess but said he provoked ‘her’. Ulysses assumes this is Carol. I think we are going to find it revealed the ‘her’ is someone else – Storm, Emma, Medusa being three likely candidates beyond Carol to be provoked. Maybe this revelation and/or Ulysses death will end this copy of Minority Report that has everyone acting like idiots throughout the series. The characterization has been beyond poor in many of the main antagonists of this snooze fest. Sure, Hawkeye killed Bruce Banner…who is already back as a zombie, and we’ve lost War Machine and Tony. Instead of a focus on the Inhumans vs Mutants conflict, though, we had to bring about a convoluted predestination theory des machina in Ulysses. But they have screwed up that fight: Inhumans vs Mutants. In fact, I saw they screwed it up worse with Death of X, which is really the death of one of my favorite characters in Marvel, Cyclops. 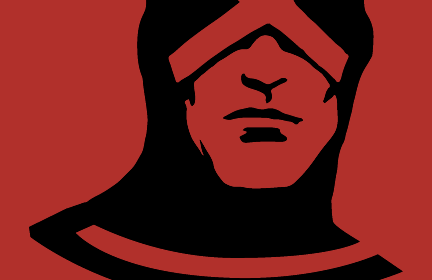 The problem is, Cyclops supposedly did something ‘really bad (TM)’. Except, not only was it not him but Emma using an illusion of Scott Summers, but it wasn’t bad! Emma recruited a transmuter, Alchemy, to her team and from there transmuted one of the two Terrigen Mist clouds to an inert gas. Yes, the Inhumans were pissed about this. But where does this make all of humankind despise him? He supposedly did a horrible thing, but…well, he really didn’t. Nor did Emma, though the last panels of Death of X make me think Emma has snapped while she was telling Alex Summers, Scott’s brother, what had really happened. Add to this panels from Extraordinary X-Men, where Magik was pissed at Scott. She was there, and helping the illusion! This is a blatant problem. No, this does not work at all and has turned the whole Inhuman vs Mutant thing into a farce. Marvel could have done this much, much different and it would have made Scott look like a true villain. Transforming the mist is where they got it wrong. Let me explain a bit. To make Scott this horrid person they want him to have become, despite X-Men #600 where Scott becomes MLK, the mist transformation has to have gone wrong. Alchemy transforms the mist…and suddenly hundreds of thousands of humans become infected with the M-Pox before Alchemy gets the cloud to be inert. THAT is what should have happened. When Magik, who is along for this event, discovers it, Emma knocks Magik out before Magik can kill her Scott construct. That would give Magik reason to have the seething hatred of Scott, not realizing it was Emma’s plan. That would make the reactions in Extraordinary and Uncanny X-Men logical. It would be a good catalyst to snap Emma’s mind, too, knowing it was really her plan and she screwed up. Emma can form the Brotherhood of Evil Mutants, to fight the Inhumans. Marvel didn’t do that, and I am afraid their reasoning behind Inhumans vs X-Men (IvX) is going to have another bad catalyst. Suddenly, the mutants only have hours to live, so attack the Inhumans? Eh…that sounds like another deus ex machina. Which, frankly, is another bad idea from the House of Ideas. Hopefully, when the X-titles return, things will straighten out from these convoluted plot lines. I would like to remind Marvel of another thing. Mutants have long been the mirror of oppressed minorities, perceived or real, around the world. Blacks, LGBT, etc. have all seen parts of their struggle in the mutant struggle. That’s the beauty of Marvel. They have slowly changed our own world with their comics in a much more subtle way than the heavy hammer currently being employed. Inhumans were the environmentalists. Pollution made the Inhumans sick at one point in time, which is why they left for the moon. I am no environmentalist, mind you, because I think the leadership is fraudulently covering up their socialism, but move the Inhumans back to that role, Marvel. You might have a hit, instead of hate towards them.